EVO Minecraft MOOC has completed its third iteration as an Electronic Village Online (EVO) session, and is aimed at a fourth in 2018. Community members discuss the evolution of the community, what we have learned through our experience, and implications for communities of practice forming in and around virtual worlds. 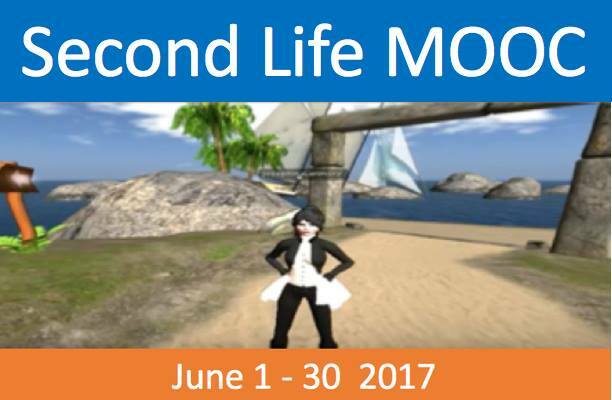 On Thursday June 22, 2017, Vance and Bobbi Stevens, Domagoj and Marijana Smolčec, Dakota Redstone, Maha Abdelmoneim, and Mircea Patrascu appeared in-world in Minecraft as part of an EVO Minecraft MOOC team to give a presentation by all accounts well received at SL MOOC 2017, hosted by Nellie Deutsch and Nan Nigrone and taking place in Second Life. (Beth O’Connell was planning to join us but was called away at the last minute to a meeting in RL). The presenters were in Minecraft and Discord, streaming voice and video from there. Of course those whitelisted on our server who wanted to make it a playdate, were able to enter the EVO Minecraft MOOC server, TP to TeacherVance, and join us there in world and live in voice in Discord. Thanks to our testing the day before, Vance was able to get the stream going using xSplit which broadcasts to the most recent event created at my YouTube account using the credentials and stream key stored at xSplit. This seems to work quite well for Minecraft and even allows a video thumbnail from my web cam which can be easily toggled in and out. We took our virtual guests on a railroad ride to far flung villages on the EVO Minecraft server where we saw where zombies are cured and turned into villagers who are housed in a compound created by Rose Bard and Dakota Redstone. Community members can go there to trade with the villagers. Carrots are grown on the property which can be used to exchange for things that villagers have, and Dakota grows cane there which can be harvested and turned into paper (I showed how to do this at a crafting table). Some villagers are librarians and if you can find one of those you can trade paper for emeralds and other treasures. Things went well for about 45 minutes until Bobbi and I, both in Al Ain UAE, simultaneously lost our connection to Discord and could not get it back. Meanwhile I had gone walkabout and found a boat that led across a lake to lights on the other side which lit a path through a by-now dark forest to a structure someone had created at the end of the lit path. There I found ladders I was able to ascend to safety from monsters that are active on our survival mode server at night. Mircea likely teleported to my location, as he appeared there as well. By then the only audio was my microphone narrative of what I was doing, and if the conversation was still going on in Discord, it was lost to the stream and hence to SL MOOC. It was the top of the hour, so on that note, I ended the broadcast. All the while we were streaming we were trying to acknowledge the possible presence of viewers in Second Life, but we had no way of knowing whether or not they were there (well, we did have a way but we totally missed it). Anyone who mounts one of these endeavors knows how complicated it is, whether getting the stream working while getting set up in Minecraft and organizing people in Discord (Marijana was using it for the first time and had to be guided; Bobbi as well). Also the hosts in SL would have been equally busy mounting the stream in their virtual world and communicating with guests how to access it. Also, the event would have been early in the morning where they were (Nan overslept her alarm, she reported later). Consequently neither Nan nor Nellie replied to my emails explaining what we were doing, nor could I raise them on Skype or Facebook. So we took it on faith that they were there and played from behind the curtain as it were, not knowing what the audience was doing on the other side. Once the event was over, and all concerned could check their emails, then the flurry of replies appeared. We had asked everyone to use Chatwing because we can organize there before the event and help anyone there reporting trouble with accessing the stream. The SL organizers had not realized that as they were handling things at their end; hence there was no message from them to us in Chatwing. For our part, we were very busy at our end and none of us were monitoring the live-stream chat. We were chatting with each other in Minecraft, and monitoring Chatwing throughout. I was monitoring stream health showing on the left of the YouTube Live window where the live chat runs on the right side, but given my limited screen real estate and the need to monitor multiple windows on my two computers, I had my Chatwing overlaying that part of the window. I was streaming in several windows on the other computer, xSplit, Discord, and Minecraft itself, so I was doing busy doing all that as well. But for participants just joining a stream in progress, the YouTube live chat is where the action is. So we completely missed that but it’s a big lesson for next time. You definitely learn how to do this by doing it. Absolutely terrific! We’ve got the recording in the SLMOOC17 playlist on Nellie’s channel. I’m listening to what I missed. Sorry I was late. I just sent messages out to the various groups in Second Life including the MOOC participants, Open Education in Second Life, ISTE, VSTE, Real Education in Second Life, Kip Boahn’s group, and the Virtual World Education Roundtable as well as my educational groups about the location of the recording with a little positive review of the event. I also updated the Google calendar, the Google Doc schedule and the wall boards in Second Life with the link to the recording of the live stream. You guys weren’t paying attention to the chat on YouTube live but there were a number of members of the SLMOOC, a few like Nellie who were in Minecraft too I imagine. I joined about 18 minutes in, was up late and slept through my alarm. Sorry! Thanks so much! Such a great addition to the course! The chat in Minecraft was as informative as watching the Minecraft follow along. Thanks thanks thanks! Thank you, Vance, Marijana and boys, and Dakota . Every live session you give on Minecraft is different and amazing!!! You’re right, I was pretty engrossed in multitasking across two computers, trying to drive our participants to our chatwing chat, and really sorry we missed the live stream one. Note to self for next time (in the palm of my hand, slapping it onto forehead, hope it sticks this time). #Learning2gether episode 370 is hosting a live stream from the #evomc17 EVO Minecraft MOOC Minecraft server Wed June 21 for practice, and on Thu June 22, the real thing with Marijana Smolčec and Beth O’Connell, at this month’s Second Life MOOC. You are all are invited to attend either or both. 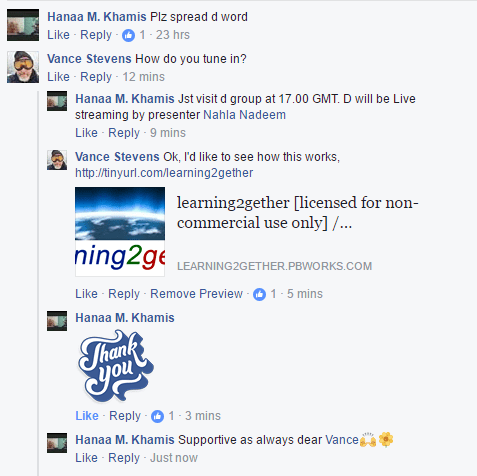 Please visit http://tinyurl.com/learning2gether for details on how to join us at Vance’s YouTube channel https://www.youtube.com/user/vancestev or at http://chatwing.com/vancestev for live online help and guidance. 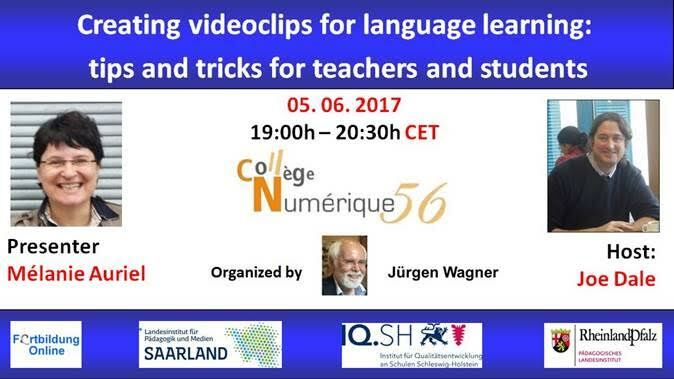 Also see the #SLMOOC17 program at https://docs.google.com/document/d/1DbVPTXUkSlQ3TT6318K5sDJWa5XWTFuEO0LV7MNjERg/edit?usp=sharing for information on how to join this and other events there, now through end of June. All were welcome to join us in our live stream practice from deep within the EVO Minecraft Server on Wed June 21 at 1800 UTC. So what did we learn2gether? I have two computers on my desk, a Windows 10 and a Windows 7. The W10 has a VPN installed on it. This is useful because it gets me around voice lag issues when streaming Hangouts on Air. Sometimes if I try to do a HoA without VPN the voice comes across like a series of horn honks and is totally unreadable. When I do the same thing over VPN things work more smoothly, though I still get frequent dropouts. Since we would be using Discord for voice as well as Minecraft I had set up to use the W10 computer for the stream. I have the latest version of Open Broadcaster Software Studio installed on my W10 computer. So I launched OBS and started setting up my scenes. I pasted that into Google and came on this forum which explained that it appears to be a timing issue, and if you “spam” it (just keep trying) it eventually works. http://www.minecraftforum.net/forums/support/unmodified-minecraft-client/2790497-new-launcher-broken-game (and eventually it did). Once I got the game going and was testing it through OBS, I got severe lag. I wondered if the VPN could be the problem so I took it out and restarted. Same thing. OBS? I stopped the encoder and tried again. Same thing. I’m trying it now while writing this next day. Same thing, all movements in slightly delayed jerks. I wasn’t going to be able to stream Minecraft from my Windows 10. With time counting down ever closer to start time I shifted operations to my Windows 7. I launched OBS and discovered that all I had there was the classic version. I’d used it to stream Minecraft from there before and everything had worked fine, but I’d got used to the Studio interface where you cue one scene and prepare it while broadcasting another, and trying to remember Classic was going back into time stored in disused brain cells. I consulted my personal manual where I’d documented my experiences with OBS Classic at a time I was trying to figure out how to use it. Then I remembered I also had xSplit on that computer. xSplit knows my Google account credentials and YouTube Live stream key so all I have to do is set up a streaming event on Google and give it a name, and xSplit looks in my account, finds the event, and streams to it. In the interest of time I decided to go that route. Meanwhile people were turning up to join the show. Beth O’Connell was at school and was blocked from Discord, so she and Marijana and I had agreed to use Skype. But it turned out she wasn’t able to use Skype either. My wife Bobbi joined us in Minecraft and on Skype so I did a test stream to see if it would work. Bobbi was able to see the stream and find its recording in her recent YouTube events, but I got a message when I stopped the stream that its archive should be ready in 24 hours. Huh? (it flashed on and of the screen, so I never worked out what that was about). Still we were able to replay the recording from the events log on Bobbi’s computer and verified that we had streamed with sound and video and all components. By now it was almost official showtime so I set an event, Bobbi went to my channel and was notified that an event was about to happen but it was waiting for me to appear, so I decided to start streaming. Everything worked fine, and Dakota Redstone was online and invited us to join him at Glitch Gulch /warp barndoor. When we arrived there we discovered that Dakota doesn’t use Skype but he was willing to use Discord. Bobbi and I were still in Skype and we were waiting for Marijana and Filip to join us, and they were also expecting to use Skype. But by now it was 20 min after our agreed start time. We were aware that Marijana had an online event set to end just as we would start ours, and it would be understandable for that one to have gone overtime. Later I found that they also had an electrical problem. By the time she and Filip got there Bobbi and I had logged off and were sitting down to dinner, but I got their messages next day. The purpose of the test run for me was actually to figure out how to stream it. I accomplished that, and it was left only to get everyone into Discord next day. Another minor issue was that I did not know how Nancy Zigrone and Nellie were planning to feed it into Second Life, for the SL MOOC event. So I sent them an email next morning and updated all the information at the SL MOOC program so they’d have the information there as well. This was my message, sent several hours before the event was due to start, but apparently after Nan and Nellie were heading or had gone to their respective beds. Is there anything more we need to do apart from start the stream on schedule? You can email us back or leave us a msg at chatwing. On Sunday June 11, 2017, at the usual time of 1400 UTC, David Winet came on to Learning2gether to demonstrate using Screencastify to provide dynamic feedback on ESOL student writing. The video above is at https://youtu.be/D4PE3DF3jEc on YouTube. 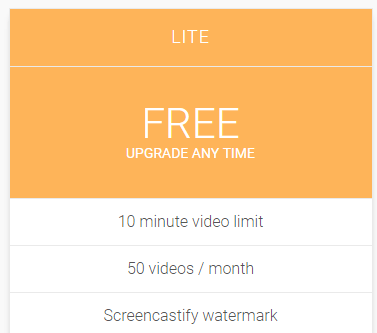 The original video started out with setup dialog for the first 11 minutes, which needed to be removed, but the YouTube online trimming tool works only for videos up to an hour in length. So Vance downloaded an mp4 and cropped it in Windows Movie Maker. This bloated the mp4 from the 378 MB original downloaded from YouTube to 2,220 MB in the 1080p version, so I made a 720p version which was still 1,164 MB. I tried a third time with Camtasia, rendered it to 720×540, and saved it as mp4 without any further enhancement. This time the upload was 135 mbytes, much more acceptable. Dave prepared show notes to explain what he would talk about link to his videos. 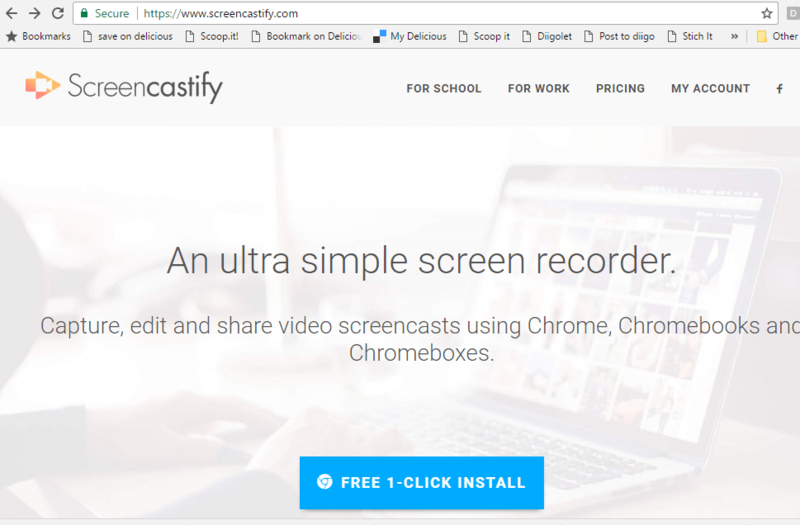 He also includes instructions on how-to work with Screencastify with students. In order to see the text in the video, please use HD setting 720 or 1080. Russell’s early claim to fame came from his use of Camtasia and Jing to mark up student writing and give them videos of him explaining the corrections. 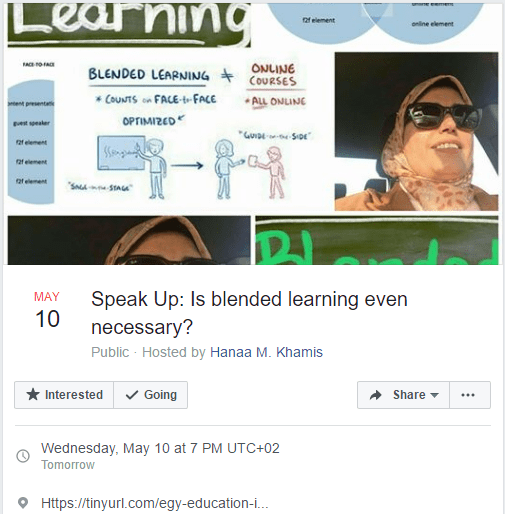 Wed May 10 1700 UTC Nahla Nadeem – Speak Up: Is blended learning even necessary? We are thrilled to welcome three amazing, connected educators as our special guest presenters to share their passion, experiences, and resources for: “Connecting Your Students with the World: Tools and Projects to Make Global Collaboration Come Alive, K-8” Billy, Jerry, and Paula connected to each other first online and then face-to-face at ISTE. For almost two years they met every Sunday evening in a Google Hangout with some other like-minded educators, to plan ways they could connect their students and do collaborative projects. During this webinar, you will learn how to make connections that will help you facilitate becoming a globally connected teacher and your students becoming globally connected learners. The trio will take you through starting with Mystery Location Calls, Mystery Number Calls, and other simple collaborative projects that take 15-20 minutes of time to doing more extensive collaborative projects that could last for an extended period of time. They have “been there and done it” and they even wrote a book about their experience and the projects they have done. More information and session details are at http://live.classroom20.com. If you’re new to the Classroom 2.0 LIVE! show you might want to spend a few minutes viewing the screencast on the homepage to learn how we use Blackboard Collaborate, and navigate the site. Each show begins at 12pm EST(Time Zone Conversion) and may be accessed in Blackboard Collaborate directly using the following Classroom 2.0 LIVE! link at http://tinyurl.com/cr20live. All webinars are closed captioned. On the Classroom 2.0 LIVE! site (http://live.classroom20.com) you’ll find the recordings and Livebinder from our recent “Choose To Be Nice” session with Dina Creiger. Click on the Archives and Resources tab. This presentation looks at a possible generic model for designing an online short course to boost English language teachers’ skills in changing their approach to methodology in ELT classrooms. For our May webinar –next Friday, May 19, from 1 to 2 p.m. — we bring you Aline Pacheco, Associate Professor at PUC-RS. Abstract: Aviation personnel have specific language needs that can be quite challenging for English teachers. Those needs are closely related to aviation safety, the ultimate goal of Aviation English. Presenter’s bio: Aline Pacheco is an Associate Professor at Pontifícia Universidade Católica do Rio Grande do Sul (PUCRS). She holds a PhD in Language Studies from Universidade Federal do Rio Grande do Sul (UFRGS), a Master’s Degree in Applied Linguistics from PUCRS and a Bachelor’s Degree in Letters – English Language from PUCRS. She has been working as an English teacher for over 23 years. Currently, she works at the School of Humanities and the School of Aeronautical Science. Her major interests are teaching and learning English as a Foreign Language and Aviation English. GlobalEd TV is a free, inclusive, and comprehensive webinar series which spotlights theories and best practices related to multiculturalism in schools and organizations all over the world. This 5-part series was hosted monthly by the Global Education Conference Network, the Learning Revolution, and Know My World; and designed to inform educators, students, and parents about the role of cultural and global competence in education. The keynote panelists have been announced for the second of three Library 2.017 mini-conferences: “Digital Literacy + Fake News,” which will be held online (and for free) on Thursday, June 1st, from 12:00 – 3:00 pm US-Pacific Daylight Time (click for your own time zone). In the first hour, Bryan Alexander will host our special opening panel discussion, joined by Mnar Muhawesh, Doug Belshaw, and Lisa Janicke Hinchliffe. More information on each of them is below. They and our session presenters will look deeply at the foundational relationship of libraries and librarians to media, information, and digital literacy. Bryan will also give a closing keynote at the end of the three-hour mini-conference. We invite all library professionals, educators, students, and others to provide input and participate this event. The call for session proposals is still open, and the currently accepted conference sessions are listed at the bottom of this post. The Library 2.017 virtual mini-conference, “Digital Literacy & Fake News” was held on June 1st, and recordings of the keynotes and sessions are available. You need to be registered (free) and logged into the Library 2.0 network to view the recordings. We have also built a special page of curated resources and links, as a bonus to you for registering. Steve Hargon’s nexus of educator networks will hold a second of three Library 2.017 mini-conferences: “Digital Literacy + Fake News,” to be held online (and for free) on Thursday, June 1st, from 12:00 – 3:00 pm US-Pacific Daylight Time (click for your own time zone). This event is being organized in partnership with futurist Bryan Alexander, who will serve as moderator for the opening panel and as the closing keynote speaker. Invited panelists and presenters will look deeply at the foundational relationship of libraries and librarians to media, information, and digital literacy. We invite all library professionals, employers, LIS students, and educators to provide input and participate this event. @bryanalexanderBryan Alexander is an internationally known futurist, researcher, writer, speaker, consultant, and teacher, working in the field of how technology transforms education. He completed his English language and literature PhD at the University of Michigan in 1997, with a dissertation on doppelgangers in Romantic-era fiction and poetry. Then Bryan taught literature, writing, multimedia, and information technology studies at Centenary College of Louisiana. There he also pioneered multi-campus interdisciplinary classes, while organizing an information literacy initiative. From 2002 to 2014 Bryan worked with the National Institute for Technology in Liberal Education (NITLE), a non-profit working to help small colleges and universities best integrate digital technologies. With NITLE he held several roles, including co-director of a regional education and technology center, director of emerging technologies, and senior fellow. Over those years Bryan helped develop and support the nonprofit, grew peer networks, consulted, and conducted a sustained research agenda. In 2013 Bryan launched a business, Bryan Alexander Consulting, LLC. Through BAC he consults throughout higher education in the United States and abroad. Bryan also speaks widely and publishes frequently, with articles appearing in venues including The Atlantic Monthly, Inside Higher Ed. He has been interviewed by and featured in MSNBC, US News and World Report, the Chronicle of Higher Education, the National Association of College and University Business Officers, Pew Research, Campus Technology, and the Connected Learning Alliance. His two most recent books are Gearing Up For Learning Beyond K-12 and The New Digital Storytelling. Please click on the webinar you would like to register for. In case you cannot attend, you will nevertheless receive my follow-up materials with the link tot he recording, the presentation as a PDF and the relevant links posted in the chat. You can also use that link to register via Tablet or smartphone.